Isolated by Mexico's deadly Copper Canyons, the blissful Tarahumara Indians have honed the ability to run hundreds of miles without rest or injury. In a riveting narrative, award-winning journalist and often-injured runner Christopher McDougall sets out to discover their secrets. In the process, he takes his readers from science labs at Harvard to the sun-baked valleys and freezing peaks across North America, where ever-growing numbers of ultra-runners are pushing their bodies to the limit, and, finally, to a climactic race in the Copper Canyons that pits America's best ultra-runners against the tribe. 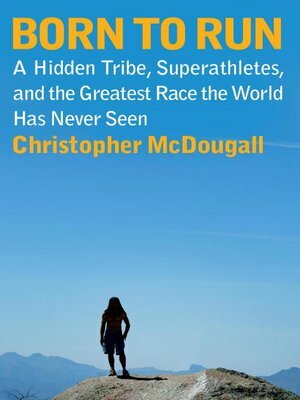 McDougall's incredible story will not only engage your mind but inspire your body when you realize that you, indeed all of us, were born to run.